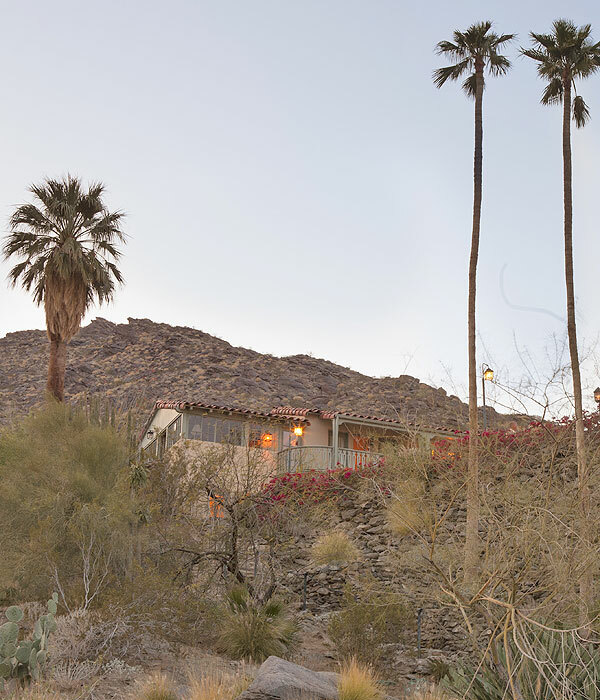 One of Palm Springs’ most beloved landmarks, the Willows holds a rare and prestigious “Class 1” historic designation and is honored as one of the ten oldest structures in the entire City. As rich as its history may be, however, the Willows is anything but a dusty old museum. Having undergone an extensive and sensitive multi-year restoration, the Willows has been carefully and tastefully brought into the 21st Century in a way that frequent guest Dr. Albert Einstein would thoroughly approve. 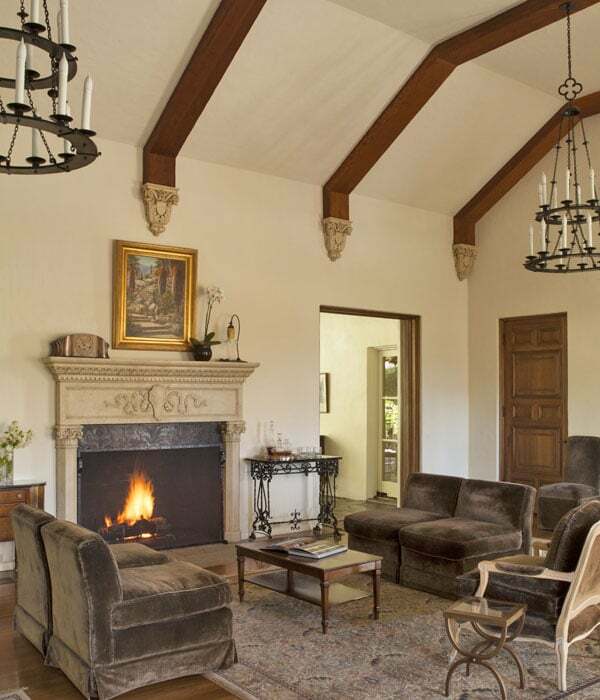 Today, only the glamour of its Old Hollywood history can rival the modern comfort and amenities you will find at the Willows. The amenities are everything a discriminating traveler could desire. Each of our uniquely designed and decorated guest rooms feature luxurious linens, plush robes and sumptuous towels, flat panel televisions, DVD players, clock radios, high speed Internet access, mini bars, refrigerators, and individual room climate control. Those are the standard amenities, but then there are the surprises unique to each of the Willows guest rooms such as private balconies or terraces, oversized tiled showers, priceless antique pieces. Each and every one of the Willows guest rooms have been carefully and thoughtfully arranged to be a private paradise set aside solely for your pleasure with no two alike. And if you can tear yourself away from your own personal hideaway long enough you will discover such delights as a beautifully sited swimming pool and Jacuzzi and acres of lush terraced gardens with some of the most spectacular vistas imaginable of Palm Springs and the whole Coachella Valley stretching out before you. Tucked along the pathways are hidden little rest spots where you can loll away the hours soaking in the scenery and sunsets till your heart’s content. You can even pause at the niche Dr. Einstein chose as his own favorite viewing spot – his beloved bench still in place so many decades later. Back inside you’ll be tempted to curl up in the lounge with a good book or out on the expansive terrace with its beautiful Spanish tiled fountain gurgling a soothing melody of restful contentment. The Willows is geared exclusively to cater to your every whim and desire from the ever helpful concierge service to the delicious and hearty three-course gourmet breakfast served before the stunning 50-foot waterfall each and every day of your stay at the Willows. In the afternoon, you are treated again, this time to a cheerful wine and hors d’oeuvres reception in the lounge where you can mingle with your fellow guests and marvel at the spectacular sunset vistas unfolding before you from the bank of French doors opening out onto the grand terrace. While staying at the Willows you may feel like you’re a world away, but you are literally just a short stroll from the very heart of vibrant the Palm Springs Village with its fine shops, restaurants, museums, spas, gyms, theaters and nightlife. 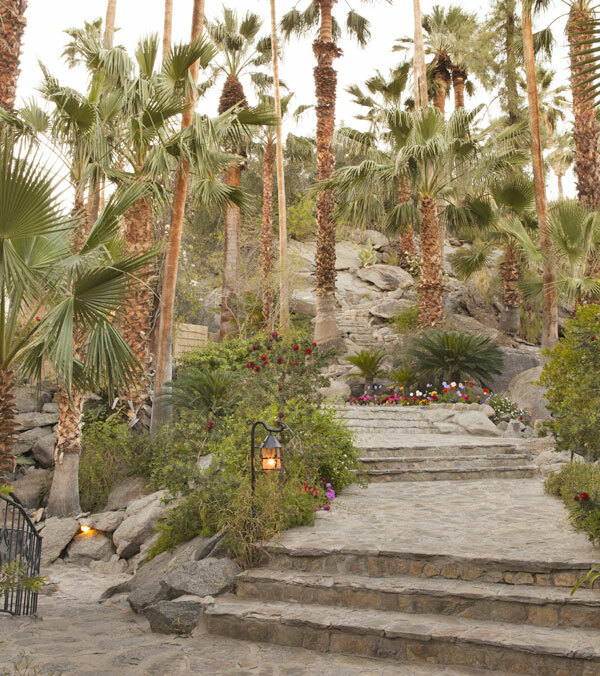 Whatever you desire – be it hiking the spectacular canyons, golf, tennis, casino gambling – all may be found within easy reach of the Willows Historic Palm Springs Inn.